It was a great night, made even more so by having my friends share it with me. 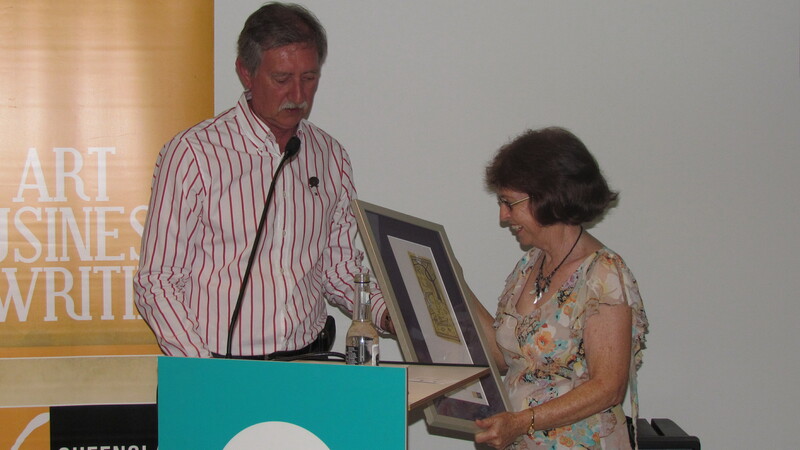 Winning the Johnno Award for “outstanding contributions to writing in Queensland” from the Queensland Writers Centre is something that really means a lot to me. During my years on the QWC Management Committee, it was always my dream to see QWC not as the hub of writing in Queensland, with spokes, like a wheel, going out to connect to writers and writing organisations, but rather as the centre of a web linking all these with QWC and each other so they can benefit from each other’s knowledge and talents. It’s also something I have tried to achieve with WriteFest – offering the opportunity for writers and industry professionals to network, learn and grow. To see how QWC has reached out into the regions and become such a hugely positive force for writing, not only in Queensland, but throughout Australia, is truly wonderful.